Sellers are offering perks like car leases and granite countertops to drum up interest. If that fails, they may try to sell for less than they owe on the home. Margot Ray, a radio-ad saleswoman in Stockton, Calif., put her five-bedroom, three-bath house on the market in February for $480,000. There it sat, along with about 3,000 other homes for sale. She dropped the price to $465,000 in April. Nada. "We'd have an open house and maybe one or two people would come by. I had an open house where nobody came," Ray says. In July, she had a brainstorm: Why not advertise on the radio? The ad put the house on the map. Now agents remember the address. The price is down to $427,000 and, at a recent open house where Ray raffled football tickets and a spa day, 15 groups of potential buyers showed up on a 107-degree day. But it still hasn't sold. Ray has two kids in college and a new house with its own mortgage. "Am I to the point of desperation? Not yet," she says, "but I want this house sold." Was it only last summer that houses sold in a day, buyers were bidding up prices and sellers in some markets haggled down real-estate agents' commissions? Nationally, 39% more "existing" homes -- not new ones -- are on the market than last year this time. Real-estate agents are giving stunned sellers crash courses in marketing. Agents now command the full traditional 6% commissions -- sometimes more -- if only to use most of it as bait so they can offer up to 4% or 5% to a buyer's agent for a successful sale. What a difference a year makes In the toughest markets -- including the Florida cities, Detroit, Stockton, Sacramento and San Diego -- incentive is the name of the game. One Florida agent offered a Mercedes-Benz with a house sale. Others dangle vacations or gift cards with thousands of dollars in gasoline. In its report released Aug. 15, the National Association of Realtors reported that 26 of 151 metro areas experienced outright price declines in the March-June quarter. The biggest price drops in percentage terms were in Danville, Ill., where home prices fell by 11.2% in the spring compared with the spring of 2005, and the Detroit area, where home prices were down 8%. For condominiums, 1 in 4 metro areas reported a decline in prices. Note: *Does not include new homes. **Seasonally adjusted. Source: National Association of Realtors. "We have sellers not only competing with an onslaught of resale houses on the market, but we also have home sellers competing with new developments, where they are offering tens of thousands of dollars in incentives, or even making mortgage payments, buying down loans, putting in swimming pools or paying points," says Raylene Miller, Margo Ray's agent. New home sales -- about 15% of the market -- have declined 12% this year. Pessimism among builders is growing, says Paul Lopez, National Association of Home Builders spokesman. In July, the National Association of Home Builders' monthly survey of builders got 369 responses: 75% said they're offering upgrades like hardwood floors, granite countertops, high-end appliances, pools, garages or other freebies to new-home buyers. That's 25% more than last year. In January, the NAHB survey revealed that 31% of builders were paying buyers' closing fees; 15% were somehow helping with financing. Detroit: as bad as it gets In the Detroit suburb of Commerce Township, seller Courtney Tursi is offering a two-year lease on a BMW X3 SUV to the agent who finds a buyer for her contemporary, two-level, four-bedroom, 3.5-bath lakeside home at the end of a private street. It has a separate in-law suite, a boat dock and water views. She wants to move her young family to a neighborhood full of kids and bikes "where everybody runs in a pack all summer long." Michigan, where automakers have laid off large numbers of middle-class workers, is one of the most difficult places to sell a home. The Detroit News reports a 43% increase in homes on the market since last year. Tursi put the house on the market in May for $749,000, then dropped the price to $699,000. But the wobbly Detroit job market has slowed real estate to a virtual halt. "Among upper level executives and middle level executives and suppliers and engineers, there is really a lot of uncertainty about their jobs," says Tursi, a sales representative with a technology company. Her real estate agent, Furhad Waquad of Real Estate One in Bloomfield Hills, Mich., got the idea of offering a car as an incentive when he saw a similar promotion by an agent in Florida. "I said, 'You know what, Courtney, this will get more people to look at the house,'" Waquad says. The BMW lease has indeed provoked more inquiries, but not many more buyer visits. Tursi vows she'll rent out the house rather than lower the price once more. "I don't see a reason to drop it again," she says. "It's a beautiful house. If I could pick it up and take it with me, I would." Some of Waquad's clients are taking their properties off the market, renting them instead. Some offer a lease with an option to buy, an alternative rarely seen in decades. Others are trying to sell "short," for less than they owe. One client asked $120,000 for her house, but the best offer she received was $97,000 -- less than she owed. She presented the offer to her lender, but the bankers demanded she make up more of the difference from her own pocket. She could not, so it was foreclosed upon, Waquad says. "I recently sold a house in Rochester Hills," Waquad says. "It was purchased a year ago by the seller for $615,000 -- a newer house. He changed all the appliances, the carpets and painted. He never lived in it. He must have spent at least $20,000 to $30,000 fixing it. We got it for a buyer for $440,000. "People who bought recently and have little equity are in the most difficult situation, says Vince Rizzo, managing partner and broker for HungryAgents.com, a St. Louis-based referral service through which sellers negotiate with local agents for lower commissions. "There are so many people now that borrowed 95% or 100%, and with the market slipping back a little, and you have to pay 6% commission, you are going to have to bring money to the table," Rizzo says. Margot Murphy, a Portland, Ore., real estate agent, trains brokers in short sales through her company, Real Estate Pro Guides. It's not easy to negotiate a short sale in which the bank must swallow a loss. Mortgage bankers are often slow to recognize how slow their markets have become, Murphy says. "Some lenders are great with it and others, you just beat your head against the wall and say, 'What's wrong with this guy?'" Agents must make the case that a foreclosure could cost the bank even more. Since foreclosures yield no commissions, agents are motivated to achieve a short sale, in which the mortgage lender pays the commission. Nationally, perhaps a half million loans yearly are eligible for short sale, Murphy guesses. Terms like "loss mitigation" and "customer retention" are new mortgage banking buzz words. 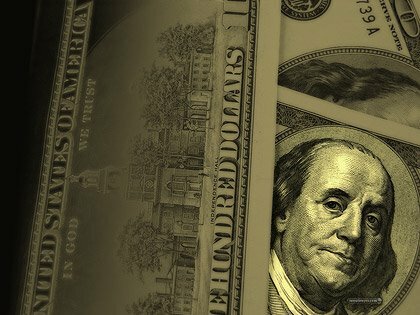 She describes "a kinder, gentler mentality" in loan-servicing nowadays "because mortgage lenders want to have a good reputation with their borrower-consumer, to assist them with other options instead of slamming down the hammer." Sellers let go dreams of fat profits Another factor in the stalled market is home sellers' difficulty in letting go of last year's prices. "If you tell someone in San Diego that they will only get 12% (profit) for their property, they look at you like it's a disaster," says San Diego agent Steve Faulkner, of Exit Realty. "They are so conditioned to a 25% increase that they just think that's what they should get." Faulkner says speculators are being blamed for running up San Diego prices. Now, with home sales down by 24%, many investors want out. "If you own 10 properties and your interest rate is going up, it's better to just sell the home and get out of it," Faulkner says. A recent search of Craigslist.org's San Diego's real-estate listings for "motivated seller" yielded 77 listings. "Must sell" turned up 68. Another 21 listings appeared in a search for "short sale." Some sellers disclose personal details -- "partner died," or "I just want to break even and get out of the loan because of a divorce" -- in ads. But some of those desperate-sounding sellers are probably agents like him, Faulkner says. An e-mail marketing specialist, he writes ads to capture buyers for his clients and other realtors, too. He smells opportunity in this market. "The bargain hunters are starting to appear," he says. "They weren't there three weeks ago." Faulkner targets them and lower-income people who think they're ineligible for loans with pitches like this: "Call Toll FREE **Distress Property** Hotline for Special Recorded Message About Where to find Motivated Sellers." To some sellers, it can't hurt to enlist a little heavenly intercession. Myth has it that a statue of St. Joseph can be buried upside down in a property to enhance its chances for sale. The Charlotte, N.C.-based CatholicCompany.com sells a St. Joseph home sale kit, including statue, instructions and a prayer. It's a popular seller, says Les Teahl, customer service manager, but no more now than before. Teahl and his wife recently got the kit to help sell their home in Charlotte. He recommends against burying it. Instead, he advises, put it in a place of honor, a spot like the corner of his home with an American flag, a big crucifix and photos from his son's wedding. "We've had people do that and next day the house sold," Teahl says. "It's got a high success rate." Tell your tale about selling or buying a home on Your Money message board. Marilyn Lewis is a free-lance writer based in western Washington. Sales of previously owned homes in America fell less than expected in August, as prices fell from a year earlier, the National Association of Realtors said yesterday. (note Silver Lining: Most economists agree that this gives the Federal Reserve even more reasons to halt any future increases and consider a reversal of the consecutive rate hikes we have all felt). Economists claimed that this correction was overdue and that many consumers wishing to sell their homes want to get the most out of their appreciation. Thus they are demanding unrealistic prices for their homes. In many parts of the country home values increased 50% over the last two years. NAR Chief Economist David Lereah said an anticipated decline in prices compared with a year earlier has begun and is likely to continue until the end of the year, helping to support sales. "With sales stabilizing, we should go back to positive price growth early next year," Mr. Lereah said. While the NAR price data are not as thorough as the quarterly reports from the Office of Housing Enterprise Oversight, economists say the August price decline may signal pressure ahead on home-equity withdrawals and consumer spending. Every day seems to bring more doom-and-gloom news about the current real estate market. Just two days ago, I read an article on Reuters in which Robert Toll of Toll Brothers builders said that today's soft housing market reminds him of the awful sag of the 1980's. That slump was so dire, it took housing prices more than three years to recover. It sounds dismal, but as I explore in my book Trump University Real Estate 101, which I wrote with Donald J. Trump, there are many ways to make money in any kind of market, hard or soft. Of them all, perhaps the simplest is to buy properties for below market value. How can you do that? Many authors of get-rich-quick books encourage you to find sellers who are so distressed financially, they will practically give their properties away. That strategy works. But the fact is, panicky sellers are a lot harder to find than you might expect. I would estimate that only about one percent of all property sellers meet the criteria. Opportunistic sellers don't value their property as much as they value something else. Maybe they want to sell their properties so they can move into a retirement condo or launch a business. To get them to lower their price to below market norms, offer a quick and sure closing. Don't-wanters are selling to get away from a particular burden. Maybe they no longer want the property because they have moved into a newer home or have been transferred to another part of the country. To buy at a reduced price, stress how happy and free they will feel when you remove their burden. Unknowledgeable sellers, who are often out-of-towners, don't know the current market price of their property. Sometimes they are so inattentive, they let their realtors intentionally set low prices to make quick commissions. You can check to see if properties are owned by out-of-towners by scanning the billing addresses in your local tax assessor's office. Also look for "for sale" signs with the names of real estate firms that rarely appear in a neighborhood. That might tell you that an out-of-town seller picked a realtor randomly from the Internet or yellow pages. Windfall gainers prefer the fast buck to the last buck. They are often people who have inherited a property from parents or other loved ones. For emotional reasons, they are eager to sell. You can close a deal by offering a quick close and a no-hassle discount offer. How can you find these eager sellers? Cultivate a network of realtors and other professionals who will alert you. If you are meeting directly with sellers and you don't know if they fall into these categories, use a subtle approach to uncover the reasons why they are selling. Compliment the property, don't criticize it. Ask cordially about their situation. Don't interrogate, since the way you phrase your questions is more important than the questions themselves. Probe gently, like Peter Falk used to do as Colombo. Buying properties at below-market prices lets you control your market. It allows you to establish your own appreciation for the properties that you buy. 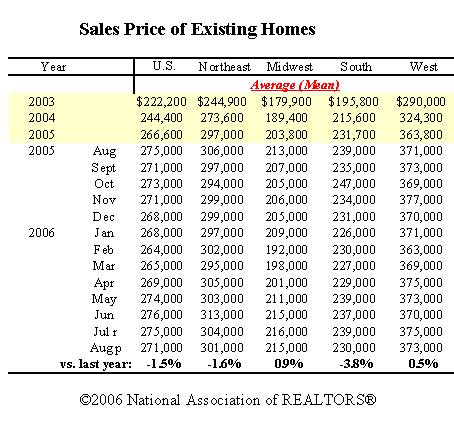 You might not be able to laugh at the housing bubble if it really does burst, but you will profit and survive. Are you are preparing your home for sale, planning to remodel, or shopping for a new home? Find out what is important in today's housing market, and make choices that contribute the most value and enjoyment for the money. Old world styles are popular. French, English, Tuscan and Spanish homes with stone or stucco walls, tile roofs, iron fixtures, heavy beams and rustic floors are in demand. A sense of historic connection resonates with buyers today. The Craftsman style, built in the early 1900's, is back. Features of this style, such as cobblestones, deep eaves, tapered columns and wide trim, favor the handmade look over mass produced. Farmhouses and country homes are perfect remodel candidates and prototypes for new homes. Native materials, wood windows, simple floor plans, and warm colors connect with nature and earlier times. The retro look is fashionable. Ranch styles and split levels built in the 1950's are perfect for sleek remodels, and fit with fashionable furniture styles. Urban modern is everywhere. Modern open plans make use of color, tile, glass, and experimental materials such as plastic and metal. The preferred ceiling height is about 9'-11'. Two story ceilings are out. In small rooms these feel like towers. Lots of floor level changes are not desirable. Most buyers today want four bedrooms, and at least two living areas. Formal dining rooms are still in demand. Formal living rooms are often converted to studies, libraries, or guest rooms. Media rooms are a sought after feature when price range allows. The visual and spatial connection between kitchen and family room is firmly established. Cabinet space is required for large televisions and wall space for the newer flat screens. Three car garages are needed, especially in areas without basements. Structured wiring is important today for internet, phone, cable and sound. Desk space for computers is required. Good access to the outdoors is something buyers look for. French doors combine access with light. Sliding glass doors are not as favored. Lots of storage is needed for today's lifestyle. People have lots of stuff. Huge master closets, pantries, laundry rooms, and extra storage closets are expected. On the other hand, very spare lofts are perfect for some lifestyles. Simplified spaces are an antidote to today's complex lifestyle. Most buyers are savvy about kitchen design and appreciate good work spaces with easy access to range, refrigerator and sink. Lots of counter space, deep drawers, two sinks, nearby extra refrigerator, and butler's pantries are all desirable features. Stainless appliances are going strong. In urban modern styles, white or colored appliances are back. High end homes conceal some appliances as cabinetry. Eat-in kitchens are a basic requirement for most buyers. Antique tables or cabinets are being refurbished and used as bath cabinets. Kitchen cabinets that look like furniture are a great look. Granite, marble or stone counters are popular. However, granite tops added to 1980's cabinets do not go over well. Consider your architectural style before adding features. Concrete countertops are perfect for ultra modern, but most buyers shy away from them. Wide, cabinet depth refrigerators have a built-in look, and are not as expensive as the true built-in type. Large rustic tiles, stone, concrete or wood floors have a warm, functional appeal. Subway tile (3" x 6") is popular in bathrooms and on kitchen backfills. Patterned cultured marble and laminate are out. Slippery, white floor tile is out. Wide, baseboards (6"+) and door and window trim (4"+) are key features in old European and American styles. Craftsman style doors - simple square frames with flat panels - work well with both old and modern looks. Iron or heavy wood entry doors make strong statements that buyers love. Rustic finishes on hardware, such as brushed nickel, oil rubbed bronze, weathered brass, and other non-shiny finishes are the popular choices. Rustic wood beams or wood covered ceilings create a hand crafted, primitive look that buyers like. Wrought iron gates, stair rails and light fixtures compliment the rustic style. Stair rails in ultra modern homes may be wire, pipe or painted metal. Front porches and covered patios are always a strong selling point. Outdoor fireplaces are popping up everywhere. Distressed wood floors that look old are valued. Simple wood boards are sometimes laid down with cracks exposed. Re-claimed wood is very desirable. Bamboo floors are popular, especially in modern style homes where light colored floors are desired. Concrete floors - often stained and scored are popular. These go well with the modern look, and are used in Craftsman and rustic European styles too. Colorful laminate floors are a good fit with mid-century modern. Laminate floors that looks like wood are out. Parquet floors are out, unless hand crafted. Framed or hung mirrors are preferred, although plate glass works in ultra modern styles. 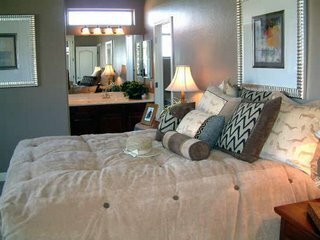 Mirrors used on walls or ceilings are a turn off. Colors are in, but soft is the word. Soft greens, yellows, earth tones and creams create a serene background that fits many styles. Complex colors, with more colors in the mix, are sought after. Deeply saturated colors, such as plums and reds, are used in moderation. Flat paint on walls hides flaws and creates a designer look. Shiny is out. Soft whites are safe for trim. Faux finishes are out. Often these do not turn out as well as expected, and are difficult to maintain. The same (or similar) wall color through adjoining spaces creates a more spacious feeling. Historic paint colors such as sage greens, beiges, muted yellows, and grays work well on the exterior. Bold or harsh colors are a turn-off to most buyers. Wallpaper is problematic and harder to change than paint. Very often it does not fit the buyer's taste. Heavily textured walls and popcorn ceilings are totally out. Buyers want more windows, natural light, and a greater connection with the outdoors. People today are more discriminating about the quality of light. Windows on two sides of the room balance the lighting and reduce glare. One light in the middle of the room will not do. Under cabinet task lighting is appreciated. Security lighting is important. Wall sconces offer soft ambient lighting. Recessed cans provide area light. Dimmers help to control the lighting. Light fixtures are a decorative element in all styles. Clean, modern fixtures, such as pendant lights, recessed cans, and wire string lights compliment the urban look. Retro fixtures are interesting decorative features in 1930's craftsman and 1950's ranch styles. Industrial metal fixtures are in. The un-decorated, industrial look of metal or stainless steel is in. Heavy drapes are out. They are too pretentious, and, well, heavy. Light cotton, linen or silk drapes are in. Or, wood blinds. Or nothing. Retro woven wood blinds have made a comeback. Mini blinds are very yesterday. Bath fixtures are finished in rustic bronze, nickel, or chrome. Old style two-handled faucets and farmhouse sinks are in style. Bath sinks may be glass bowls, granite, stone, stainless or traditional china. Cultured marble is out. All free standing tubs are in. Pedestal and wall hung lavatories are in. With fuel costs going up, energy efficiency is definitely in. Buyers want high efficiency AC, good insulation, low-e glass, programmable thermostats, double pane windows, and ceiling fans. Effective passive solar orientation is a great advantage. It shows a smart planning and use of natural solar energy. Instant hot water is a perk that buyers like, as are drinking water filters. No one wants foil on windows or stick-on window film. Light is in demand. Don't close blinds. Do remove solar screens when they are not needed, such as under patio roofs, porches or shade trees. Screened porches are back. They create a multi purpose space that is both indoors and outdoors, and keep mosquitoes away. Residential real estate, a shining star of the national economy that seemed unflappable over the past couple of years, has hit a speed bump. Nationally, home price appreciation is slowing down from the rapid pace experienced by many markets over the past few years. Mortgage interest rates are on their way up. Is this any time to be thinking about investing in a home? Of course it is –– if you’re buying it for a place to live, not as a speculative investment, and can afford to take the leap. …People now are "buying for the right reasons," said Diana Bull, a Realtor in Santa Barbara, Calif., and a regional vice president for the National Association of Realtors. Sellers no longer hold all the cards, she said, which is creating a more balanced market. Below are several benefits of home shopping in a cooling real estate market –– the silver lining to news predicting the residential real estate party is over. In a growing number of local markets, buyers have more time to think about a home before they make a decision on whether to purchase it. Last year, that often wasn’t a likely luxury. Current conditions in many markets also afford consumers a better opportunity to negotiate. "This market is forcing everybody to slow down and take their time," Bull said. In that time, buyers have more of a say at the bargaining table. In fact, getting a fair deal is even more of a priority for homeowners who can no longer bank on high appreciation rates to save them if they pay too much, Drinkwater said. If you slightly overpaid in a bidding war at the height of the real estate boom, high appreciation rates helped correct the error, he said. In many markets there is now no such safety net. It’s easy to get caught up in the upward scooting of mortgage interest rates. But take the northward movement with a grain of salt. Some people act like "Chicken Little" and feel as if the sky is falling when interest rates go up a quarter of a point, said Gaines of the Real Estate Center in Texas. Instead, keep it in perspective. Interest rates are still way below what they were five or six years ago, Gaines said. Even if the 30–year hits 7% by the end of the year, investors should keep in mind the double–digit rates of yesteryear. If you’re in it for the long haul –– that is, buying a home with the intention to live in it for years –– a home is still a decent investment. Consider this piece of information from the National Association of Realtors: Since record keeping began in 1968, the national median home price has risen every year. 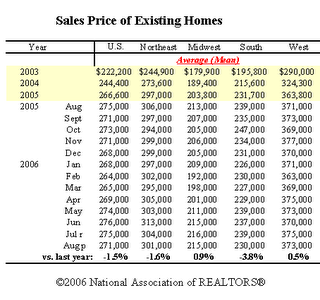 In a balanced market, home values typically rise at the general rate of inflation plus 1.5 percentage points. That’s to say nothing of the tax benefits that come with owning your own home.